Strong, all-year round demand and a market that accommodates boutique, budget and multi-storey giants alike, the hotel sector in Singapore is attractive to buyers and lucrative for sellers. Singapore's hotel sector has evolved in recent years. Catering to demand for more niche, eclectic options, smaller independents and boutiques have proliferated to broaden the choice further beyond traditional large chains. Budget brands such as Ibis and Holiday Inn Express have also grown their share of the market. Driven by the chains, the latest breed of properties to disrupt the sector seek to marry the best of the boutique concept with advantages associated with large hotels like loyalty perks, consistent service and economies of scale. The biggest threat to the natural order, perhaps, is Airbnb and its imitators. Reassuringly for the sector, the Singaporean authorities have so far resisted the home-sharing platform's pleas to ease restrictions on the rental of private homes or rooms - presently banned for periods of less than six months. That said, it might only be a matter of time before the authorities relent given that the Japanese government has recently overturned its own ban. Regardless, these rules are apparently flouted anyway, with numerous properties in Singapore advertised for short-term rental on the site. Even so, only 20 percent of visitors stayed in hostels, serviced apartments or homestays in 2015, according to the Singapore Tourism Board (STB). Don't assume that you won't be able to compete if you buy a small operator. Newcomers to Singapore might presume based on the city state's skyscraper-dotted skyline that the hotel market is dominated by multi-storey giants. While there are many such properties, plenty of boutique establishments can be found among the city-state's top-rated hotels on TripAdvisor. Clearly then, visitors value intimacy and uniqueness as much as the perception of consistent brand standards. When it comes to due diligence, it's fairly easy to get a good handle on a hotel's reputation in the internet age. Within minutes you can get a clear idea of its service standards by checking TripAdvisor ratings and conducting social media sentiment analysis. For more general information on buying a business in Singapore, click here. Singapore is an attractive place to buy a hotel, whether you're targeting tourists or business travellers drawn to the very commercial environment that helps to make the city-state an attractive place to buy a hotel - or any business. The Travel and Tourism Competitiveness Report 2017 ranked the country 13th out of 136 countries, while it also consistently appears near the top of league tables for business-friendliness, notably ranked second globally in the World Bank's Ease of Doing Business rankings. Attracted by a low crime rate, attractive green spaces, hospitable business environment and vibrant social and cultural life, 16.4 million international visitors - about 3 times its total population - flocked to the city-state in 2016 - a rise of 5.7% CAGR year on year. 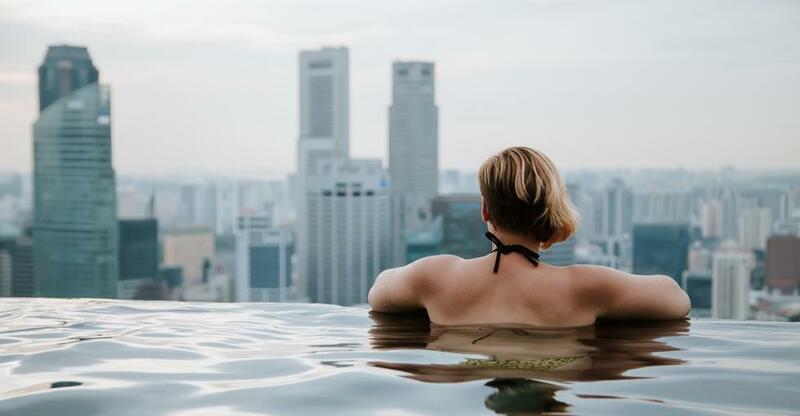 Travellers to Singapore stay in the country an average of 3.6 days, although hospitality intelligence expert HVS predicts this will "dip slightly" because of "day trips and shorter corporate trips to Singapore with the changing travel habits of travellers from nearby source markets." The MasterCard Global Destination Cities Index estimates that Singapore received 12.1 million overnight visitors in 2016. Comprising 53% of all international visitors in 2016, the top five source markets were Indonesia (17.2%), China (16.9%), Malaysia (6.9%), India (6.7%) and Australia (6.2%). You needn't worry about generating large takings during busy periods to offset quiet periods. The diversity of visitors means that demand remains strong and steady all year round, so average daily rates and occupancy rates are comparatively high. However, a boom in hotel construction is threatening to dampen these figures. Land prices are high in this densely populated state. Some 5,841 hotel rooms will be constructed between 2017 to 2021, according to URA Singapore. Occupancy rates (from 85% to 84.3%) and average room rate (falling by 2%) already dipped between 2015 and 2016. But HVS warns operators that lowering prices across the board could damage their brand and that raising them later could be problematic. "Research has shown that lowering ADR [average daily rate] will possibly result in a lower RevPAR [revenue per available room] performance due to contracting demand. "As a result, it may become harder to maintain rate integrity and pull it back up. A hotel should maintain a premium against competitors' room rates to communicate its positioning and value. Instead of taking a straight discount across all room rate levels, hotels could revise their strategy to focus on particular market segments and distribution channels in order to yield the best possible RevPAR." Many hotels fail to sweat their assets beyond simply filling hotel rooms. Those that do - deploying a discipline called total hotel revenue management - enjoy a boost to total revenue of between 5-10 percent, according to HVM. One five-star hotel in Singapore saw a jump of 55-60 percent in revenue from wedding bookings by raising prices on popular wedding dates. Given the city-state's lively social and cultural scene, there is plenty of scope for hotels to find ways of exploiting underused space for multi-functional usage - whether that's business meetings, parties or other events. As well as raising revenues you can cut costs by employing the latest building automation platforms to cut consumption of water, energy and other resources. 'Smart' building technologies like keycards and a selfie check-ins can also enhance the guest experience - although don't neglect cybersecurity should you connect building systems together via the internet. And according to a report by Cornell University, if a hotel boosts its average review score by one point (on a five-point scale) it can maintain its occupancy rate with prices set 11.2 percent higher. Assuring comfort, great facilities and high quality service are all the more important in light of such findings. Consider gently nudging guests into leaving a review with messages on the website and on bills, menus and elsewhere around the hotel. Social media can have a similarly powerful influence on your reputation. More than three quarters (76 percent) of travellers post their holiday photos to social networks and more than half (52 percent) profess to being inspired in their travel plans by friends' photos - surely a promising opportunity for hoteliers. Facebook and, especially, Instagram and Pinterest are highly visual media and great platforms for capturing the appeal of your hotel. Social media is more cost-effective than direct advertising too. You can also cost-effectively respond to complaints, queries and feedback. In fact, prompt, considered responses are essential for damage control in an online environment where minor gripes can quickly spiral out of control. Examples not to follow abound. The New York City hotel, for instance, incurred the wrath of the internet with its policy of fining wedding guests $500 for negative social media posts (although the hotel claimed it was all a joke). With Singapore a popular destination for both tourists and business travellers and the commercial environment geared for entrepreneurs, you should have no problem finding willing buyers for a reasonably priced property with potentially or already strong profits. Put yourself in the shoes of the buyer and ask yourself how the hotel can generate more bookings, diversify revenue and exploit its advantages - whether based on location, reputation, facilities or otherwise - more effectively. This thought process can provide clues as to what you should highlight in your marketing literature. For more general information about selling a business in Singapore, click here.